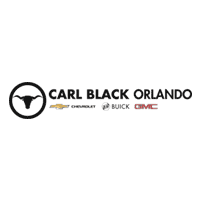 Find the Parts and Accessories You Need at Carl Black Chevrolet Buick GMC Orlando! Our dealership has a fantastic parts center for our Orlando and Tampa customers. As part of our effort to provide a complete range of automotive solutions, we ensure that our parts center remains fully-stocked with the auto parts or accessories that you may be looking for. Here at Carl Black Chevrolet Buick GMC Orlando, Sanford and Altamonte drivers will find only original and genuine components and accessories that come directly from the manufacturer for your automotive DIY projects. If we don’t currently have the specific part you need in stock, we can locate and order it for you. You can easily order parts online or contact our parts department if you have questions.